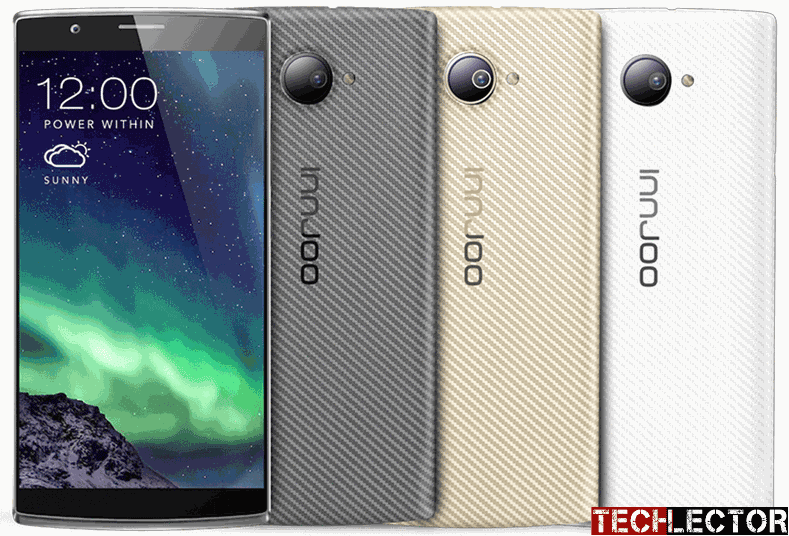 InnJoo Mobile, one of the global leaders in the manufacturing of trendy smart phones had launched its Beautiful Kevlar textured back Android Smartphone named InnJoo Halo. The InnJoo Halo is the first of its kind from InnJoo Mobile. It is launched alongside the InnJoo Fire Plus at the launch event that took place in Lagos, Nigeria recently. The Smartphone is no doubt one of the cheapest Android smartphone to have ever launched in the country. It price is awesome and same as its specs. The InnJoo Halo is aimed at exploiting same strategy that has helped boost Infinix Zero 2 reputation. The midrange InnJoo Halo offers users some impressive specs, including a great IPS display, a Quad-core processor, generous RAM and ROM, better camera and comes with the latest Android operating system. The InnJoo Halo comes on the heels of the successful roll out and impressive acceptance and patronage of the InnJoo Fire. The new product, which is specifically targeted at the students, youths and young professionals, is designed to address the demands of this segment of the market, which craves trendier variants of phones. Designed with a Kevlar back cover that is ultra-strong, light, flexible, 5 times stronger and lighter than steel and fits perfectly in the palm of your hand. InnJoo Halo flaunts a sleek and elegant design featuring a premium feel. It exhibits a relatively velvety profile that measures a dimension of just 145.6 x 72 x 9.6mm. InnJoo Halo is lighter than the InnJoo Fire Plus which is launched same day as the Halo. It weighs only 158g which shaved 7g off the weight of the InnJoo Fire Plus. However, despite being sleek, the InnJoo Halo is in no way fragile. The InnJoo Halo packs in an awesome 5.0-inch display, which means this is essentially not a phablet. Its 5.0-inch display is just the perfect size for watching movies, surfing the internet, displaying pictures and reading e-books. Its 5.0-inch FWVGA 2 points capacitive touch screen has a resolution of 480 x 854 pixels for a pixel density of approximately 193 ppi to ensure highly enjoyable viewing, even with friends. On the camera front, the InnJoo Halo is configured okay. The main camera features a 5-megapixel with LED Flash, autofocus, and face detection, putting this phone on par with some mid-range smartphones in this regard. On the front of the InnJoo Halo is a 2 megapixels camera for selfies and video calls. You get an 8GB of inbuilt storage which users can upgrade up to 32GB via its microSD card slot, HALO helps saving your photos and music as you wish. The InnJoo Halo is armed with a quad-core processor, which delivers speeds of up to 1.2GHz. Although the chip is a bit behind the times, its fast speed combined with the RAM of 1GB capacity provided should allow you enjoy a smooth and effective daily operations. A Mali-400-MP2 GPU oversees graphics. The Halo in its initial purchase might come running on the Android 4.4 but can be upgraded to Android 5.1 Lollipop operating system to provide you with awesome features and capabilities. The smartphone is fuelled by a 3,200 Ah Li-Polymer battery. Connectivity options available in the smartphone are – microUSB, Bluetooth 4.0, 3G and Wi-Fi 802.11 a/b/g/n/ac with Wi-Fi Direct and Hotspot. InnJoo Halo handset features GPS with A-GPS and GLONASS and gives support for dual SIM cards. InnJoo Halo is now available in Nigeria. You can buy the smartphone at any leading online stores in the country. InnJoo Halo Price in Nigeria ranges from between N13,999 to N15,000, depending on your location in the country. do you still have it in stock?